The Montessori preschool classroom is a "living room" for children. Children choose their work from among the self-correcting materials displayed on open shelves, and they work in specific work areas. Over a period of time, the children develop into a "normalized community," working with high concentration and few interruptions moving from being undisciplined to self-disciplined, from disordered to ordered, from distracted to focused, through work in the environment. The process occurs through repeated work with materials that captivate the child's attention. For some children this inner change may take place quite suddenly, leading to deep concentration. In the Montessori preschool, academic competency is a means to an end, and the manipulatives are viewed as "materials for development." The preschool environment unifies the psycho-social, physical, and academic functioning of the child. Its important task is to provide students with an early and general foundation that includes a positive attitude toward school, inner security and a sense of order, pride in the physical environment, abiding curiosity, a habit of concentration, habits of initiative and persistence, the ability to make decisions, self-discipline, and a sense of responsibility to other members of the class, school, and community. This foundation will enable them to acquire more specialized knowledge and skills throughout their school career. 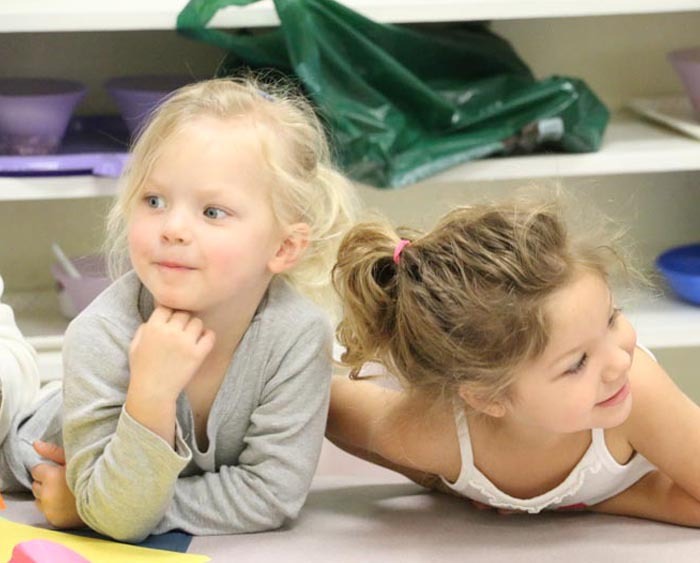 Our Montessori preschool program is filled with investigation, exploration, and discovery, where active and enthusiastic children can refine and expand their skills and knowledge. Through intentional teaching practices, purposefully-designed learning environments, and enriched activities, teachers ensure preschoolers have joyful, appropriate, and meaningful learning experiences that lead to success in school and in life.